As of November 26th, Rhode Island has joined the other seven US states offering legal sports wagering. Rhode Island had sports wagering legislation passed earlier this year and was projected to begin offering their wagering services on October 1st. However, some revenue allocation negotiations held the state back from offering sports gambling in October but now with negotiations finalized the state can begin offerings this expanded form of gambling. As of 3 pm, Monday, November 26th, the Twin River casino in Lincoln has begun its sportsbook operations. 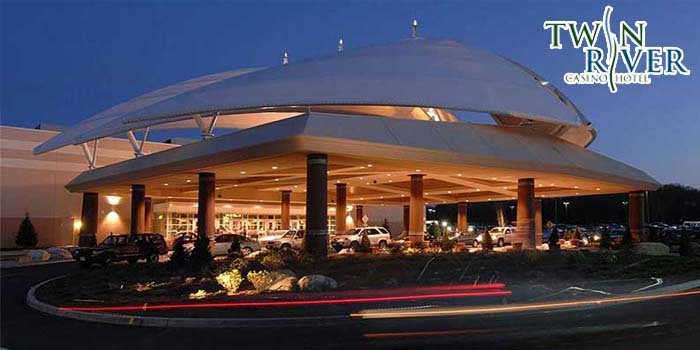 The Twin River’s two casinos are the only casinos permitted to offer sports wagering at the moment, the Twin River’s second casino at Tiverton will be accepting bets in December. The Twin River casinos will offer sports gambling in partnership with William Hill and IGT – who have more experience in the industry than the newly passed sports gambling state of Rhode Island. Wagering revenue allocated in Rhode Island through state-licensed sportsbooks will be divided as follows: 51% will go to the state, 32% will o to partnering operators, i.e. William Hill and IGT, and 17% will o directly to the Twin River casinos. The New England states now have their first sports betting state and New England residents are happier for the closer sports gambling option compared to Nevada, New Jersey, Delaware, or West Virginia. In fact, at Monday’s opening ceremony for Twin River’s sportsbook bettors from Massachusetts and around New England relished the fact that Rhode Island provided local betting. At Monday’s ceremony, Chairman of Twin River Worldwide Holdings John Taylor, House Speaker Nicholas Mattiello, and Senate President Dominick Ruggerio were present and led waiting bettors inside. Ruggerio, Mattiello, and Taylor each placed their own first legal RI wagers. Any bets placed by Taylor, Ruggerio, and Mattiello which won would go directly to a charity of their choosing. Currently, Rhode Island’s Twin River sportsbook operation is in Phase 1, which seems minimalist and simply to begin offering this exclusive gambling form. However, word of a second Phase has many bettors excited. Phase 2 will offer a sportsbook lounge with multiple televisions, but the casino must first move its simulcast horse and dog race betting area to construct their desired sportsbook lounge. Rhode Island is only permitted the Twin River casinos to offer sports gambling, but this may soon change. The state is looking to expand sports betting to other locations and venue options like those which already support lottery agents, keno machines, and at sports bars according to the Rhode Island Department of Revenue. Senate President Dominick Ruggerio is also looking into mobile or otherwise known as online sports betting options in RI. Both House Speaker and Senate president for Rhode Island shared their common desire for state-regulated sports gambling and shoehorned the importance of this form of gambling as a revenue generator for the state. Currently, sports bets must be placed in person at the Twin River’s Lincoln location; the Tiverton Twin river location will accept bets before the end of 2018. Bets can be made on both professional and collegiate sports, with the exception of bets made on Rhode Island college sports.